The eagerly-awaited new skate park in the Town Park, which has been provided by Great Aycliffe Town Council, has been officially opened by the town’s mayor. Despite the cold weather, local skaters have been using the new facility in large numbers since its completion just before Christmas, flocking from across the town and the surrounding area. The new facility, which was designed and installed by Fearless Ramps, was the preferred design identified during a public consultation process which including many of the skaters during the summer. 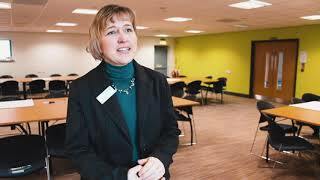 The new skate park which has been entirely funded by Great Aycliffe Town Council at a cost of £49,000, replaces the popular previous design as its framework was becoming beyond economical cost to repair. The skate park, which can be used by scooters, skaters and BMX users features a wide half pipe, which allows BMX riders to use it safely, and a series of ramps that can be ridden as a circuit for those riders who are skilled and daring enough to attempt it. In addition to the skate park, Great Aycliffe Town Council also provides a scoot track at Horndale and a BMX track at Woodham Park for those users who have an interest in this type of wheeled sport. 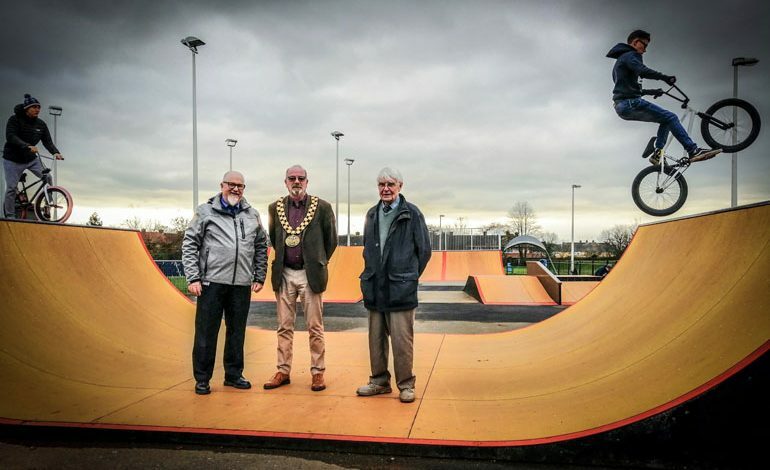 The mayor of Great Aycliffe, councillor John Clark, was joined by the chairman and vice-chairman of the council’s recreation committee, Jed Hillary and Brian Hall, to officially open the new skate park last week.